The Real ‘How to Study in the Library’ Guide! I have to say, I’m always impressed when I read these golden tips from our resident Student Bloggers! While it’s been a few years (not that many!) since I had to buckle down in the University Library or host an exam study session, I certainly wished I’d known these things back then! Even still, I think we can put a few of these tips into practice no matter what we are working towards or our stage of career. Student Blogger, Samara Wendt is spot on when she says we are all running our own race and you have to run it in your own way! I’m a big advocate for finding your bliss in Law Land and if that means your study or learning habits break the mould, then you do you friends! So, to firstly address the elephant in the room, this blog will be referring to productive study. This means working through podcasts, readings, tutorial preparation and sipping on hot bean juice (i.e. over priced coffee). In this judgement free zone on the Happy Lawyer Happy Life Student Edition Blog, let us all admit to our procrastinating ways. At times it seems we will never break them. And despite procrastination jokes and memes actually being the most relatable posts on social media, deep down we all wish we could just get case readings done! Including me. So, as I enter another year, I have collated two years of field study to present to you all on how to study in the library. Step 1: Just don't study in the library. If studying in the library does not work for you – just do not do it! I am referring to externals, students who travel hours to get to campus/class (including me) and those who just do not like libraries. This idea that walking through a library door will in turn sprinkle you with productivity dust is not true. It might take us until the end of semester to acknowledge it, but we all know it. And that is the hard-hitting news! a) Could not imagine anywhere better to get productive than in the law library with a huge monitor screen in front of you! c) To actually access the 24 hour labs after business hours! the jealousy when you see friends post on their Instagram stories doing any of those things is just crazy. Typical law student jealousy. But, if you are also like me and logistically can not study in the library, do not get caught up on it. For whatever reason is stopping you from a library study session, you are still getting study done, right? So, before we continue let us first remove the idea that the library will magically make us productive. Step 2: Go to the library at your most productive time of the day. Although I cannot be at the library as often as I would love, I still try to include a library session on the days I am on campus. For me, my most productive time is in the morning. I am talking from 7am (library opening time!) to mid-morning. Some uni friends have told me they would not even schedule classes before 11am let alone be at the library. Others can be studying from 5am! If you are like some of my friends and do not function until midday, then that’s when you should get productive! That is the beauty of productivity; despite being at different times for everyone, the concept is the same and you can achieve the same at 3pm as what I might at 8am. Finding a time for productivity might be a little harder for those who have just joined the study train but fear not! Play with your study routine. Take note of the times of day you feel the most clarity. Find the times of the day that you do not have competing priorities. You will have your answer. Also note that what might work for you now, may not work in the future. Just like what has previously worked for you, may not continue to work for you now (parents I am talking to you!). Go with the flow and do not get caught up on it. Remember in primary school when we had to write about our weekend and used the WHO, WHAT, WHEN, WHERE, WHY and HOW? It was not implemented just so your grade 3 teacher could assess your literacy skills, it was implemented so you could prepare for a library study session. Take the time while you are packing your bag at home to plan your library study session. WHO? Who will be at the study session? This is useful if this is a group assignment meeting. Do you need to check in that everyone has the same details about where you are meeting and what time? Or do you have a study buddy you are meeting? WHAT? What will you be studying? This is sooooo useful in being productive. You will make sure to not only pack what you need for the class/classes, but you will also have a rough outline of what you need to achieve. Perhaps, tutorial prep, readings and a lecture recording. Never underestimate a plan. WHEN? When will you go to the library? Kind of self-explanatory but no doubt essential. WHERE? In the library? Where in the library? A part of being productive in the library is finding where you are productive. Me? I cannot work around noise, so I march (quietly) up the stairs to the silent level. Ideally, I use a uni computer on this level for a larger monitor screen. Sometimes I like to go to the extreme and book a silent study room on the silent level! The ultimate concentration cubicles! You could be totally different. Find what works and do it! WHY? Do you have any deadlines that urgently need you to get productive? Or maybe, you are the most productive in the library and just need your weekly library study session. Just like grade 3 writing, this step is optional. It works for me in the sense of planning how I will work around my classes and life to get this library study session in. Typically, this step involves the TransLink website and some preparatory study of train running times. This entire plan can just happen quickly in your head. I find it so useful in being prepared for a productive library study session. Always remember you are running your own race and studying towards your own career. Find what works for you! I truly hope the many unproductive study sessions I have had to come to these conclusions will help you in acing your library study sessions. If you have your own tips, share them on my Instagram page, or connect with me on LinkedIn. Happy studying! Hi! My name is Samara and I am an over opinionated, awkward and Imposter Syndrome suffering Law and Psychology student at the Queensland University of Technology. I never had that light-bulb moment when choosing to study law. I am not sure if many people so. But after witnessing injustice and suffering of those vulnerable in our world, I became determined to help. This is where going into law made sense for me. Despite believing in my purpose, I openly feel the dreaded law school Imposter Syndrome. You know, when you feel like everyone else has got ‘it’ together and you don’t even know what day it is. This year I became determined to embrace this clueless feeling by moving out of comfort zone. This included entering an Instagram competition with The Happy Family Lawyer which led me here! Here I am blogging about all things law school, student life and comfort zones in hopes to find fellow Imposter Syndrome suffers. 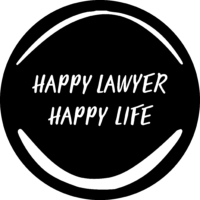 Join the journey here on The Happy Law Student Blog and connect with me on Instagram and Linkedin!